Sit up and pay attention, friends! Here's your chance to win something special for spring. 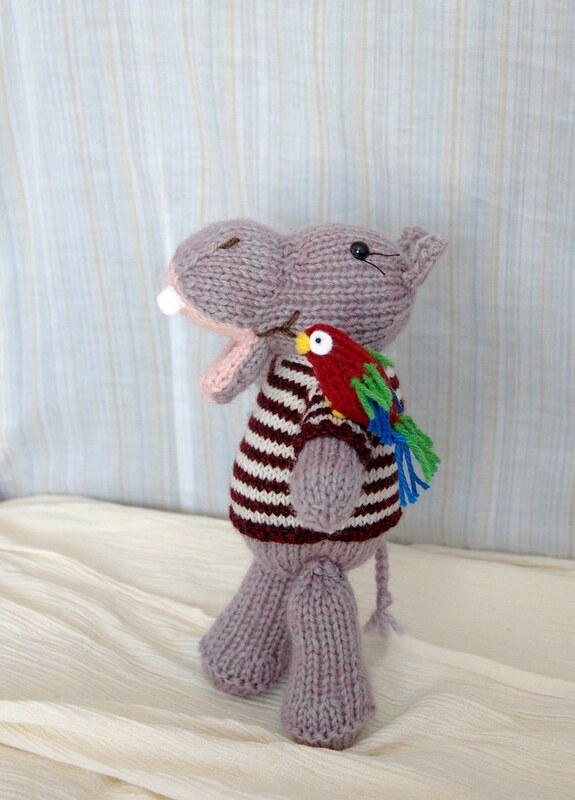 As you can see in the photos, the new pattern is for a hippopotamus! And not just any hippo, but a pirate hippo. Let's hear you all say, "Arrr, matey!" Here's the deal: leave a comment on this blog post with your vote for the hippo you prefer, and the names you think they should have. If your imagination is up to it, real piratey names would be awesome! In case it isn't obvious, the differences can be found by seeing the photos in my flickr stream (boy and girl). 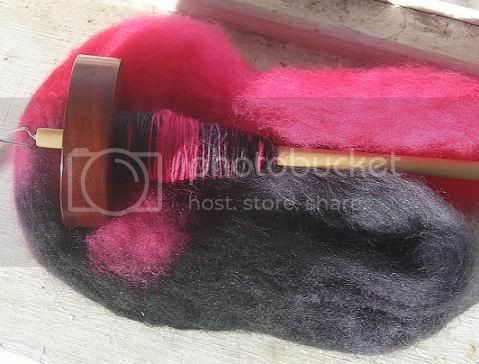 Whichever toy gets the most votes will be the one I write up for the new pattern. The names will all go in a hat, and I will draw out the winner. 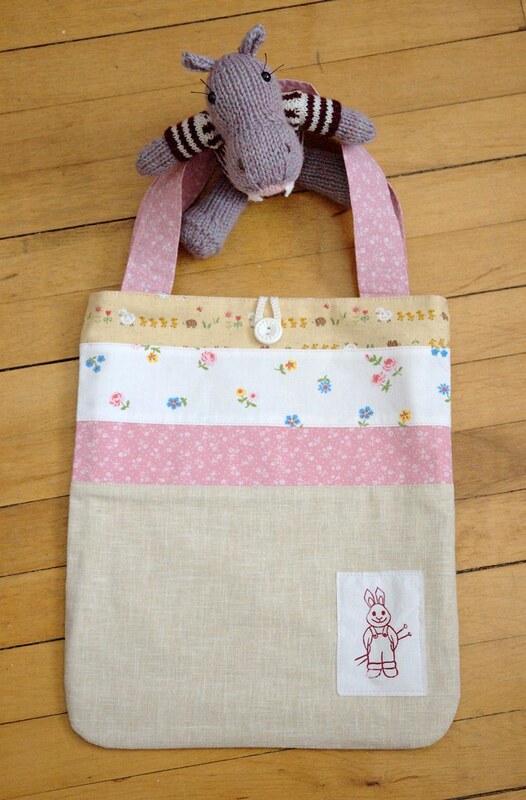 The winner will get the lovely spring tote bag shown in the last photo plus a copy of the new hippo pattern. In order to make this work, I need you to include your email address with your comment so I can contact you if you win (feel free to make it more secure in whatever way you like, I'm pretty sure I can figure it out). Voting closes next monday morning (March 17) and I will announce the winner that day. Whichever toy is chosen, the final pattern will include instructions for the parrot and basic instructions for the belt, sword, and eye-patch. The bag is 11" by 13" with 16" handles. My Fuzzy Knits book fits nicely inside, with plenty of room for yarn etc. The fabrics are a combination of linen/cotton and cotton, and the bag is fully lined with beige cotton broadcloth. The patch is hand-stamped in acrylic paint, but I would still recommend hand-washing the bag. Have fun with the names, and good luck! Posted by Barbara Prime at 2:21 p.m. I suggest "Hippolytus and Phaedra," though it's a bit of a morbid story (as is often the case with ancient greek myths). March 10, 2008 at 3:15 p.m.
Silver Sally and Calico Jack ? I am not too good at coming up with names but the hippos are soo cute! March 10, 2008 at 3:18 p.m.
March 10, 2008 at 4:46 p.m.
OMG! how cute are they! i especially love the little eyepatch and parrot. my vote is for to write up the girl pattern. For names i think the girl should be called Morgan and the boy would be Captain Bartholomew ☠ . March 10, 2008 at 5:50 p.m.
Aloysius and Hortense-the wannabee pirate river horses. They are too cute to be nasty old pirates, so they must be lovely little children playing at pirates. March 10, 2008 at 7:09 p.m. I would name the boy, Patches and the girl, Hilda Hippo. I love them both but the girl is my favorite. I HAVE to order your book, I just found you today! March 10, 2008 at 7:30 p.m.
March 10, 2008 at 7:54 p.m.
Jack Sparrow and Buccaneer Bess - I like the girl best and absolutely adore the parrot!! March 10, 2008 at 8:34 p.m.
Oh Barbara - you amaze me! You are so talented. I like Bartlemy for the boy hippo (Cause it's from one of my favourite books as a kid). And I think the girls' name should be The Red Rogue (Cause it sounds piratey and I like Red and there is some red in her shirt???) I hope you have a marvellous week! Oh, and I think I like the girl the best - but it could be because she's got eyelashes....! March 10, 2008 at 8:38 p.m. I like the girl best because the boy's hand look a bit pensis like.lol. Boy's name: Captain Bully Hayes because it's a character in the movie Nate and Hayes and boy hippos are also called bulls. Girl's Name: Anne Bonney because that a name of a real life female pirate http://en.wikipedia.org/wiki/Anne_Bonney and bonny also means good, pretty, or charming. I love the fact that there's so many extras with this pattern. The parrot is way cute. March 10, 2008 at 9:38 p.m.
March 11, 2008 at 4:22 a.m. I like the boy hippo. My names would be Horatio and Helana. March 11, 2008 at 5:51 a.m.
"Captain Hollis and his mighty mate Halie" (Halie is Greek meaning thinking of the sea) Was thinking Captain Hackett -- to gory. March 11, 2008 at 10:18 a.m.
March 11, 2008 at 11:29 a.m.
personally, i'm in favor of the girl hippo :) i love her little eyelashes and her parrot companion. as far as names go, how about esmeralda and ol'scurvyshorts? March 11, 2008 at 1:42 p.m. I vote for the boy hippo pattern. I like the purling on the arms and the bigger legs. More hippo-y! March 11, 2008 at 4:21 p.m. 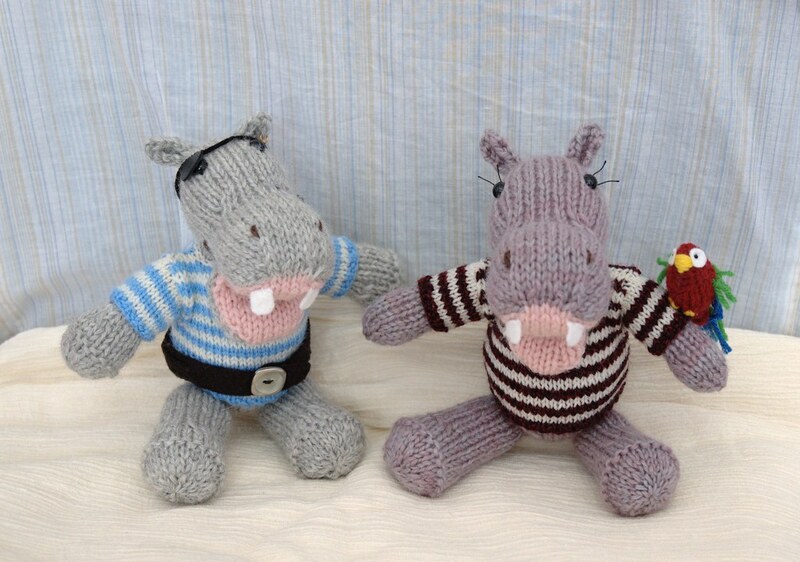 I've just found you via Needle.org and am almost breathless with excitement at those fabulous pirate hippos!! March 11, 2008 at 5:13 p.m.
March 12, 2008 at 10:30 a.m.
Creativity of any kind is not my strong suit! How about Henry and Henrietta? March 12, 2008 at 5:57 p.m.
My favorite is the blue striped hippo. He looks like he's a pirate to be reckoned with...how about "Blue Thunder Belly". The hippo with the parrot looks rather playful for a pirate..."Plunderin' Polly". March 12, 2008 at 11:55 p.m.
How about Jolly Esmeralda and Dastardly Drake? What a fun contest, I love the hippos and the bag is great. My vote goes to the girl hippo, I can see her in pink stripes! 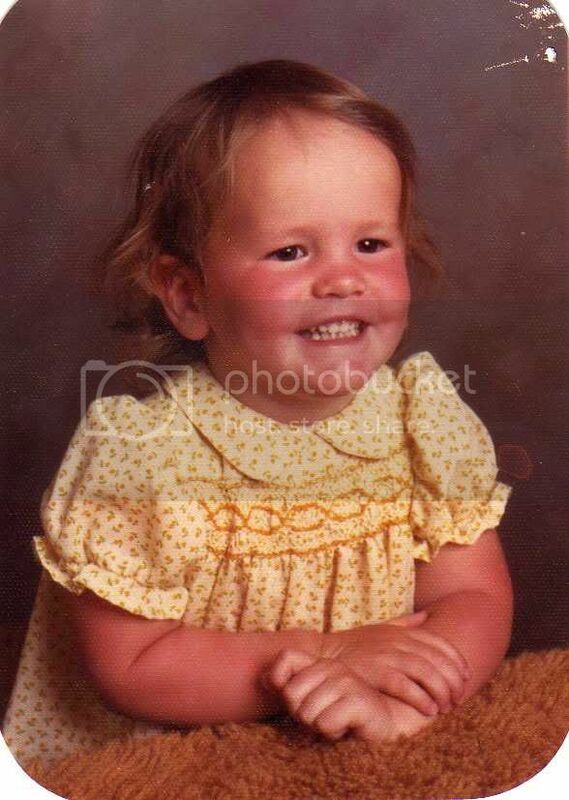 Adorable as always. March 13, 2008 at 8:13 a.m. I vote for the girl pattern - I like her mouth shape better. As for names how about One-Eye Joe and Katie Parrot? They look too cute to be mean pirates. Love your pattern ideas Barbara. March 13, 2008 at 8:26 a.m.
Too cute!! It is a tough choice but I am voting for the boy hippo. I would name him Cap'n Roger Saggingsails and her Pirate Bernice the Engorged. I got the names from the pirate name generator, but I had to input a number of names before I got two I liked. March 13, 2008 at 11:50 a.m. I suggest Captain Jessie Kidd and Pirate Marilyn Bonney. March 13, 2008 at 1:07 p.m.
PS: I adore the girl hippo. Such a cute parrot! March 13, 2008 at 1:18 p.m. I like the boy because of the eye patch, belt, and sword. Can't be a swashbuckler without the sword! How about Cap'n Hippodrome and Lady Potomas? I'll be watching for the pattern! March 13, 2008 at 3:03 p.m. I like Hugo and Henrietta! They are both adorable, but if I had to choose one, I'd choose the girl! March 13, 2008 at 6:55 p.m.
Oh my gosh, these are incredibly cute!! I think they should be Finn and Freida! I like the girl the best! March 13, 2008 at 11:06 p.m.
Can't you just imagine a children's book series: "The tales of One-eyed Johnny and Hip Hilda" Wouldn't that be great? A knitted children's book series! I'm just saying..
March 14, 2008 at 6:46 a.m.
March 14, 2008 at 8:30 a.m. I like the girl best! Boy: Well, this isn't very hippo-ish, but I've always thought Bluetooth sounds like a modern pirate name, plus he's wearing a blue sweater, so . . . yeah. Girl: Okay, another random one for her, but Ladyfingers sounds piratey to me, too. Sorry those are so random! March 14, 2008 at 4:19 p.m.
Just to be difficult I'm going to say that I like the boy hippo but the girl hippo's mouth. Viola and Orsino (I also like the other character names: Olivia and Sebastian). March 14, 2008 at 4:52 p.m. 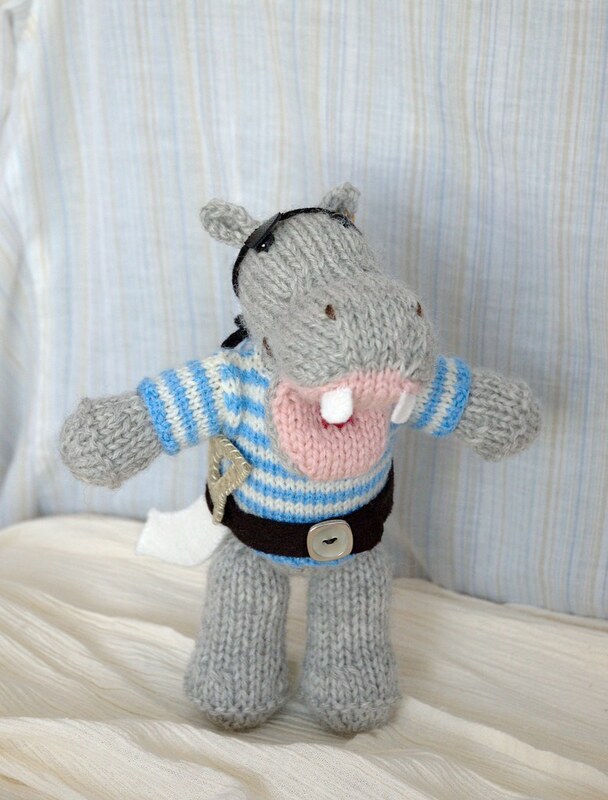 I like the boy hippo best; his little clothes are adorable (and so piratey!). I'd name them Swash and Buckle. March 14, 2008 at 9:21 p.m.
i love love love hippos and have collected them for years! we just got back from a wine tasting party, so that may be my inspiration here, but how about Madeira for the girl pirate and Rummy for the boy? March 16, 2008 at 2:29 a.m. They remind me of George & Martha! They are so cute! I like both patterns, I agree with write up the male with mod for the female. March 16, 2008 at 1:36 p.m.
Hippos are my absolute favorite animal! I LOVE these guys (the boy especially)! March 19, 2008 at 10:54 a.m.